Be the first to share your favorite memory, photo or story of Janice Gail . This memorial page is dedicated for family, friends and future generations to celebrate the life of their loved one. 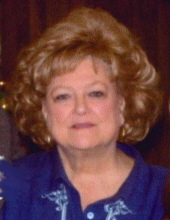 Mrs. Janice Gail Pierce Ballard, age 70 of Millers Creek, widow of Ronald Ballard, died Thursday, February7, 2019 at Forsyth Medical Center. Funeral services will be held 3:00 PM Sunday, February 10, 2019 at Arbor Grove United Methodist Church with the Rev. Dr. Susan Pillsbury-Taylor officiating. Burial will be in the church cemetery. The family will receive friends from 1:30 until 2:30 PM prior to the service at the church. Mrs. Ballard was born January 8, 1949 in Wilkes County to Carl and Dare Johnson Pierce. She was a member of Arbor Grove United Methodist Church and taught for the Wilkes County Schools at Roaring River Elementary and West Wilkes Middle schools. In addition to her parents and husband, she was preceded in death by two brothers, Doug Pierce and Ricky Pierce. She is survived by one son, Ronald Todd Ballard of the home; one grandson, Raylan Minton; two brothers, Randy and Donnie Pierce, both of Millers Creek; and one sister, Linda Absher and husband, Dean, of Wilkesboro. Flowers will be accepted or memorials may be made to Arbor Grove United Methodist Church Cemetery Fund, c/o Esther Eller, 480 Shepherd-River Road, Millers Creek, NC 28651. To send flowers or a remembrance gift to the family of Janice Gail Pierce Ballard, please visit our Tribute Store. 1984 Arbor Grove Ch. Rd. "Email Address" would like to share the life celebration of Janice Gail Pierce Ballard. Click on the "link" to go to share a favorite memory or leave a condolence message for the family.